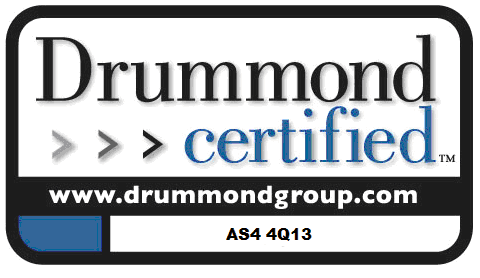 The Oban Gateway has been AS4 certified by the ATO recommended Drummond Group. Oban is currently the only Australian company, and one of only a handfull globally, that has achieved Drummond certification. The Oban Gateway has been certified by ComplianceTest for the SuperStream gateway profile for contributions. Please refer to ComplianceText Certificate. Oban is a Member of the OASIS ebMS Technical Committee which allows Oban to contribute towards the ebMS/AS4 specification. OASIS is a non-profit consortium that drives the development, convergence and adoption of open standards for the global information community. Oban has been ATO approved as a Sending Service Provider within the Operational Framework. This has particular significance in respect to Standard Business Reporting (SBR2) to the ATO. Oban is a Member of ABSIA (Australian Business Software Industry Association). ABSIA is a non-profit association created to be the collective voice of the Australian Business Software Industry. Oban is a Member of ASFA (The Association of Superannuation Funds of Australia). ASFA is the peak policy, research and advocacy body for Australia's Superannuation Industry. Oban is a Member of ACORD (Association for Cooperative Operations Research and Development). ACORD is a non-profit, industry-owned organisation that enables the success of the global insurance industry by leveraging the flow of information across all insurance stakeholders through relevant data standards. Oban is an Accredited Gateway Operator as defined under the terms of the Memorandum of Understanding of the GNGB (Gateway Network Governance Body Ltd). The GNGB is a self-regulatory body for the Superannuation Transaction Network. Established in 2016 by the superannuation industry, gateways and software providers, it manages the integrity, security and effectiveness of the network. Oban has successfully completed ISO 27001 certification. ISO 27001 is a security management standard that specifies security management best practices and comprehensive security controls. The basis of this certification is the development and implementation of a rigorous security program, which includes the development and implementation of an Information Security Management System (ISMS). Oban complies with the APRA Prudential Standard CPS 234 for Information Security. This standard will shore up APRA-regulated funds’ resilience against information security incidents (including cyber-attacks), and their ability to respond swiftly and effectively in the event of a breach.